If you want to run a fun and uplifting business, look no further than Hummy Mummies, the modern, daytime choir for mums-to-be and mums and carers of babies and young children. Hummy Mummies was founded in 2011 by Richard Swan, who has over twenty years’ experience as a musical director, teacher and musician. A graduate of Goldsmiths’ College, Richard has combined a successful teaching career with numerous, musical projects. He has worked as a co-writer, producer, arranger and choir director, and has run numerous school and community choirs. He is also the founder of London City Voices, a thriving, London-based, community choir and also runs a successful function band. Richard set up Hummy Mummies in response to a perceived need among his local community of mums for a daytime, musical activity that was focused towards adults rather than children. Hummy Mummies has already been hugely successful in the SE London area, creating a growing number of mums who are passionate about being part of the Hummy Mummies community. Hummy Mummies gives mums the chance to get out and do something for themselves, without having to worry about childcare, as their children are just as welcome! Children can play while mums and carers enjoy the challenge of singing in three-part harmony within a stress-free environment, without worrying that their child is going to be told off if they make too much noise. 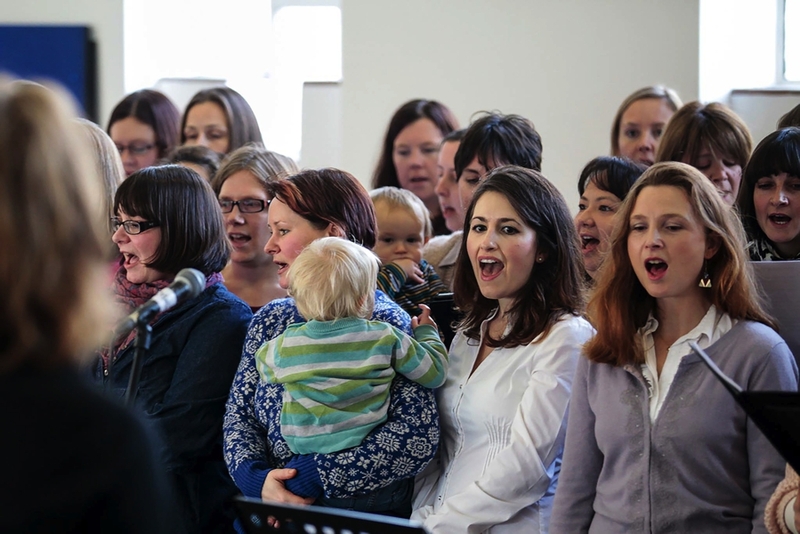 Hundreds of mums have relished the challenge of singing in three and four-part harmony, and say they feel de-stressed, energized and uplifted from the joy of singing together at Hummy Mummies sessions. The cost of a Hummy Mummies franchise is only £3,950. Rather than charging a percentage of franchisees’ profits, instead they charge a flat, monthly, ongoing management fee of £150, thereby providing you with a fantastic opportunity to grow your business and generate significant profits. Business development support and training, which includes all aspects of running your business, such as registering your company, securing investment, marketing and PR, social media etc. Hummy Mummies is now starting to grow their business by using a franchise model, and are, therefore, looking for driven and motivated individuals to become class leaders. This is a prime opportunity to invest in a unique and exciting concept with a proven return on investment. Performers who want more income stability. Previous PostPrevious Dog First Aid Franchise Ltd holds first AGM in Bath! Next PostNext Collaboration Beats Competition!